At the heart of the Medina Riad Chennaoui opens its large doors made ​​of cedar wood by master artisans in Marrakech. This is a small palace built for hundreds of years by the same family that appropriates today. 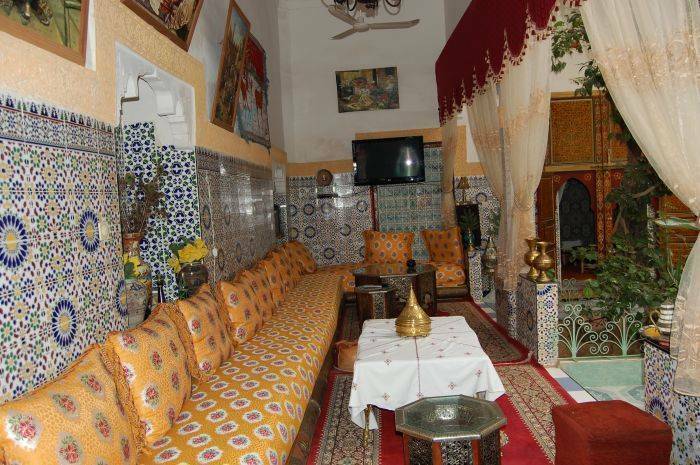 Entirely zellige and bricks of Fez, facing a garden patio, several relaxation areas, 8 bedrooms including 4 spacious air-conditioned and spacious, and each has a bathroom, and the level of the terrace there is a restaurant at your disposal. 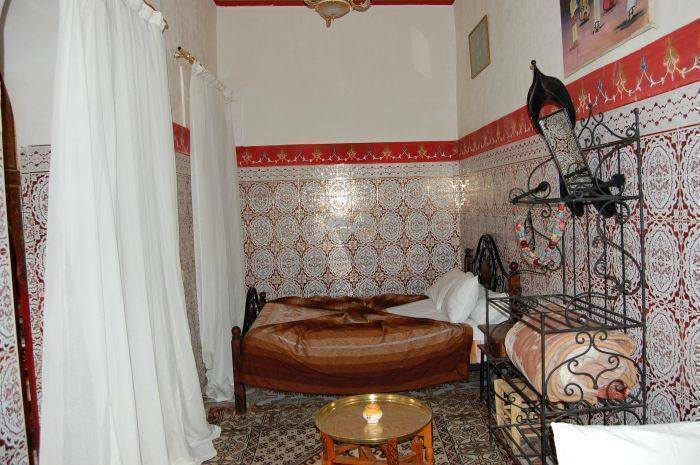 Riad Chennaoui remains one of the riads in Marrakech that have managed to live the pure Moroccan architecture. To make the sky of Marrakech day or night, you come relax on the terrace. The cook will prepare meals of your choice at lunch and dinner. Whatever your demands attentive staff will be there for you. 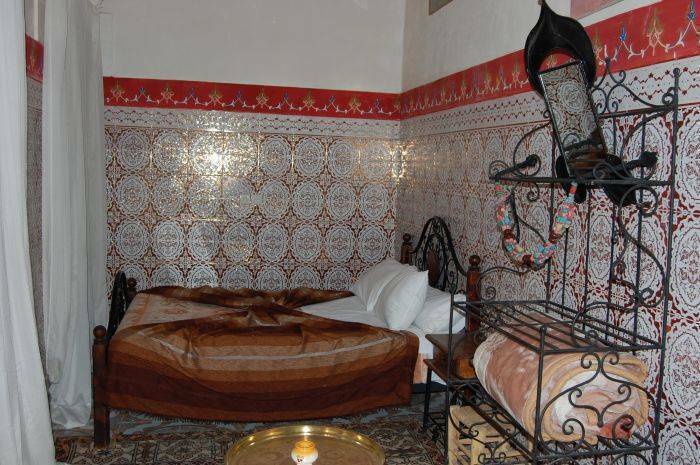 The Riad offer to guests The best moments to have good stay. 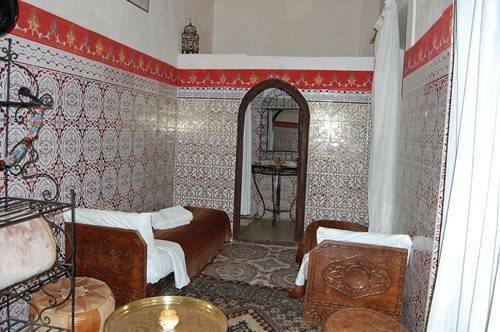 Best moroccan restaurant and relaxing Hammam and Massage with argan oil. Very quite terrace for you diner, lunch and ideal breakfast. A few metters rom the Bahia place and 8 minutes walk from The big Square Jamaa Lafna. 2 Minutes from the Badia Palace. Near tha main monuments of Medina. Saadiens tumbs and the koutoubia Gardens. Varied Salade with fresh and daily vegitables. 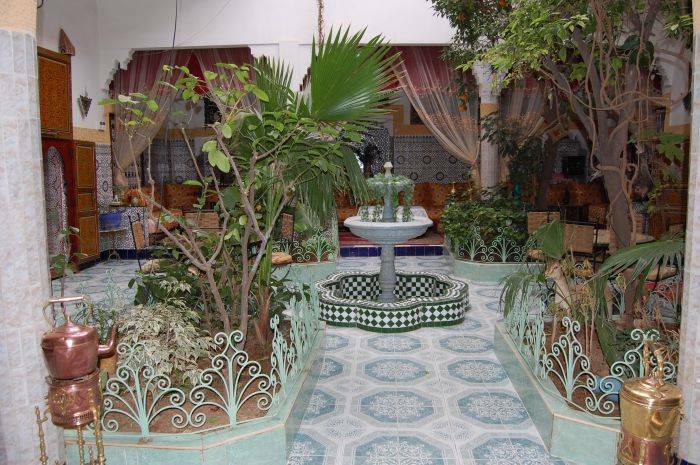 From the famous square Jamaa Lafna, take the Riad zitoun Jdid street and before you Reach the Bahia Palace take your left hand and go ahead it is just 150 metters from the Main Parking of the bahia Palace. Dichtstbijzijnde luchthaven: Marrakech Menara Airoport 5 Km.